Loot Crate has undergone some interesting changes over these past few months. Gone are the days of getting a couple of cool items and some filler. Loot Crate has excised the small items nobody cared about and has been much better for it. Is this because of increased competition? I can’t say, but I know that this is a golden age of random geeky items. In September, Loot Crate’s theme was Summon, and I’m happy to report that it features some top of the line items. As always, we were given hints ahead of time as to what properties we might see, and even though I’m not a fan of everything listed, this is still one of my favorite crates yet. Let’s summon up a look at the included items, shall we? The weather is turning unpleasant here in Chicago, with the last few days standing as a grim reminder that winter is on the way. Fortunately, Loot Crate has provided a high quality winter hat based on everyone’s favorite electric rodent, Pikachu. I’ve been a fan of Pokémon since it launched when I was 7 or 8, so I’m glad it’s represented in the Summon crate. The hat is excellent, well-shaped and made of great material. It even features tassels with Pokeballs on the end, which is great if that’s your style. 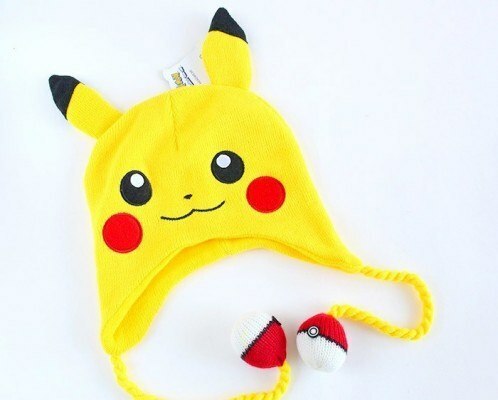 I can now check a hat off of my winter shopping list, and I expect to see a lot of Pikachu heads around the city when the snow starts falling. I’ve never been a big fan of Supernatural; I saw a few episodes back in college, but it never did anything for me. But as my review of Forza 6 shows, I do like cars. 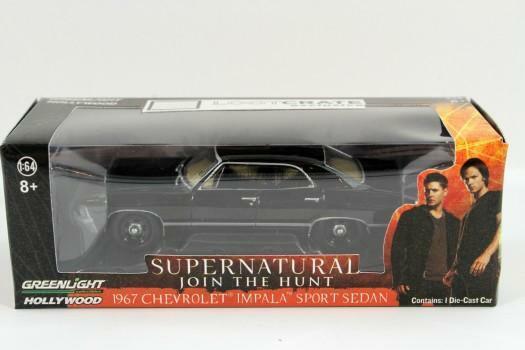 This model of the 1967 Impala from the show is made of die-cast metal and fits great with any collection of Supernatural memorabilia or model cars. It’s in the same scale as Hot Wheels and the like, so they’re definitely helping two types of collectors. This particular version is a Loot Crate exclusive, featuring a license plate based on a flashback episode of Supernatural. I ended up giving this to a friend who likes the show, but I appreciate it nonetheless as a quality item. I’ll be honest, I have no idea what this has to do with the Summon theme, but that doesn’t mean I don’t like it. 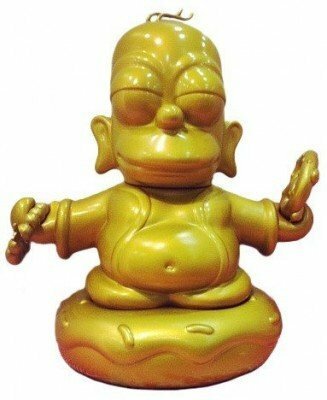 What we have here is a three inch tall vinyl figure of Homer Simpson as Buddha, depicted in a shining gold color. It’s a variant from Kidrobot’s series of figures from The Simpsons, and my understanding is that this gold version was previously exclusive to conventions. I’m always a fan of collectible vinyl figures, so I’m glad that we got another one this month. As is to be expected with Kidrobot, it’s a very high quality collectible, and it comes with some accessories. This is something you can’t get at a store, so even though it isn’t an exclusive, it’s a big win for Looters. 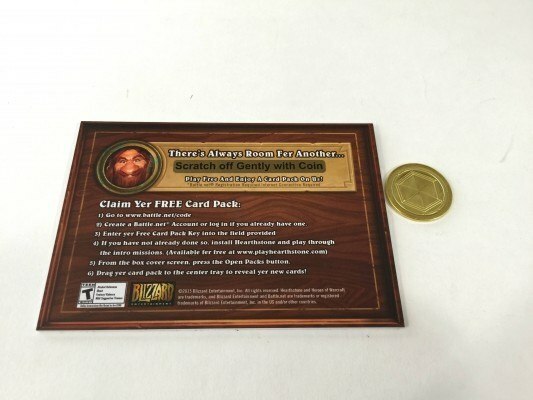 Included in this month’s crate is a printed cardboard card featuring an intricate design and a code for a free Hearthstone pack on the back. But there’s more to this item than it seemed at first glance: embedded in the center of the front side is a golden metal coin, modeled after the coin in Hearthstone. Though I don’t play that particular game much, I can appreciate the delivery of the entire package, and the coin itself. It’s pretty small and simple, much more so than the Assassin’s Creed coin they had a while back, but it gets points for accuracy to the game and for being another high quality small item. Originally this set was exclusive to Blizzcon, so it’s nice that they made it easier for the rest of us to get our hands on it. 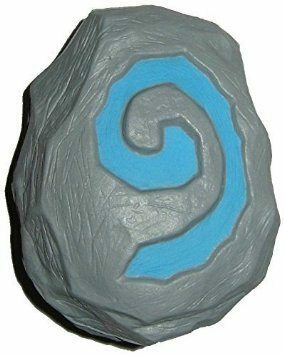 The final item to round out the crate is the Hearthstone itself, or at least a stress ball designed to look like it. Serving as a useful key item in World of Warcraft, as well as the namesake (and part of the logo) of the online card game spin-off, it’s something most gamers will recognize. What makes this item particularly interesting is the shape. Stress balls are usually in pretty simple shapes, rounded and with few details. This one, however, actually has the shape of a stone. The spiral symbol is debossed on the top, and it isn’t symmetrical. It’s easily the coolest stress ball I’ve ever seen, and even though that isn’t saying a whole lot, it’s still a plus. While many of the items come from franchises that don’t really interest me, there’s no question that Loot Crate once again hit it out of the park in September. There is a common theme of the items being of much higher quality than one would expect for the price, especially the Pikachu Hat and the stress ball. The car is a nice exclusive collectible as well, and the Homer Simpson figure and Hearthstone coin bring to the masses items that were once only available at conventions. This is exactly what Loot Crate should be: a place for geeky collectors to get awesome merchandise that you can’t just pick up at the local comic store. It would be even better if there was a big exclusive item in here, but it’s still pretty darn near perfect. The October crate’s theme is Time, celebrating Marty McFly’s visit to this month in Back to the Future Part 2. Loot Crate has announced that every item will be exclusive, including a t-shirt and a Funko Pop figure (the most exciting thing in any Loot Crate for me). Franchises to be represented are Doctor Who, Bill & Ted’s Excellent Adventure, and of course, Back to the Future. If you want to sign up before time runs out (pun intended), click here to subscribe. A Loot Crate subscription is $13.95 plus shipping per month, but other options are available too. Given the information provided, I expect that the October crate will sell out quickly. There’s also an exclusive Fallout 4-themed Loot Crate available here, separate from the subscription.